Starting your own online store is not hard or expensive. You don’t need to know coding or find company to create online store for you. I will help you avoid all the expensive mistakes that most people do. This all-in-one tutorial will teach you both the basic and advanced steps on how to start an online store. First thing you need to know is that there are a number of ways to start an e-commerce (trading products or services using computer networks) website but most of them aren’t really that easy and user-friendly. I have 7 years experience in web site development and I’ve tried many platforms. To help you out, I’ve chosen the best platform for you to use it is cost-effective and easy to use. Today, I will introduce you to WordPress. 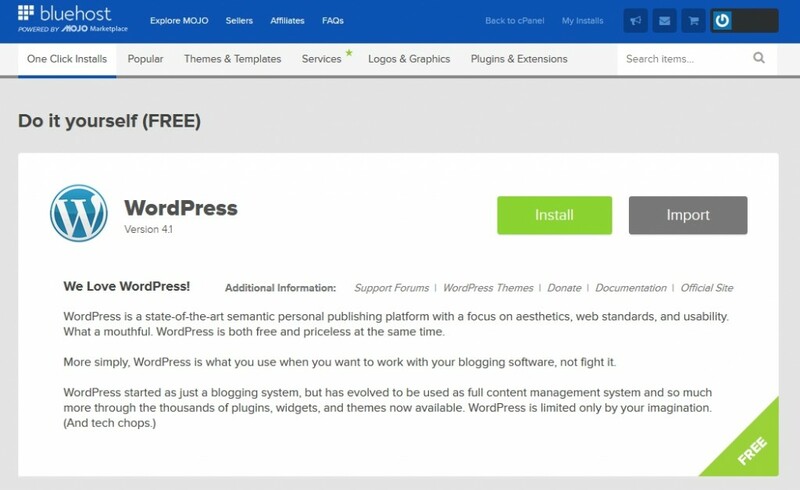 Most people choose WordPress for their online store due to the fact that it is specifically developed for people who have little to no knowledge about internet and computers. With the help of this guide you can create a website in just a matter of minutes. There are bunch of free themes and plugins that will make your e-commerce life easier and you need zero coding knowledge to implement them. 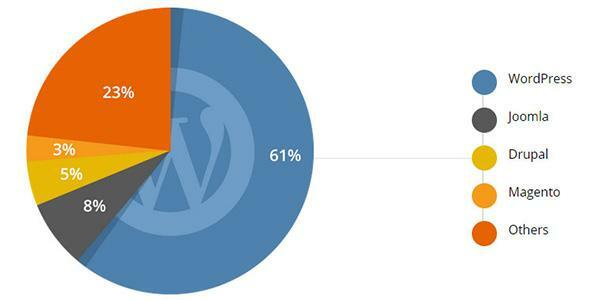 Lastly, WordPress boasts a very large and helpful community. You’ll meet people like you who are just starting out with their online career. Ask questions, get suggestions, and help other people throughout your journey. When you open up a traditional store, you need to do some stuff first before actually opening up the store. First, you need to think of a name, location, and design. You must have a plan first. It’s hard to prioritize the making of a business without even knowing what you want to sell. What is something you can easily sell? See, the thing about e-commerce is that you don’t really have to challenge yourself that much when you are starting. You can always start with training wheels and it does not make a difference. Personally, I tell newbies to start small and easy. Don’t go for the money shot right away. Learn the ropes with a simple niche and product. In order your new online store to be available for everybody to buy you need to setup hosting account and get domain name. Don’t worry maybe it sounds complicated, but it is not. Setting up hosting account and getting domain name takes only 5 minutes. 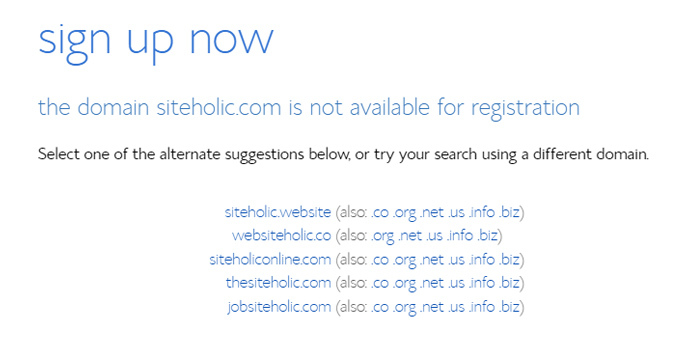 Domain name: The domain name of this website is siteholic.com. If you type that domain name into an internet browser anywhere in the world you will be sent to this site. Hosting: Web Hosting is a company that stores all of the files for your online store and delivers them to the user when they type in your domain name. Think of it as a computer hard drive that stores all your content on your online store (product images, text and so on). There are bunch of hosting company out there, how to choose one? Choosing bad hosting company means slow loading web site or sometimes it is not working. There are hundreds of different web hosting providers. 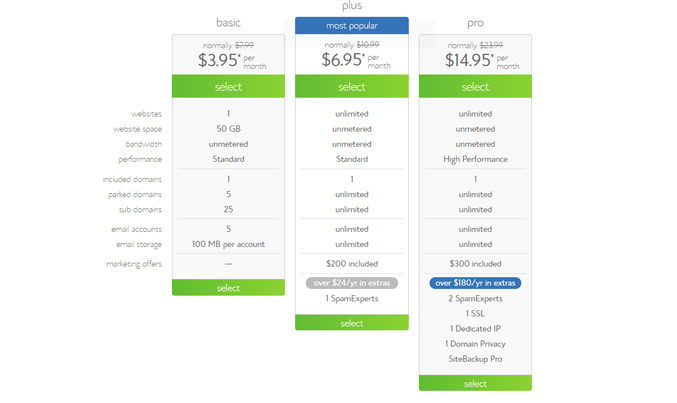 They all offer you a similar service (domain + hosting) with a similar prices. In my experience as web developer I’ve tried many hosting companies and now I only use and recommend www.bluehost.com for domain names and web hosting. 1. 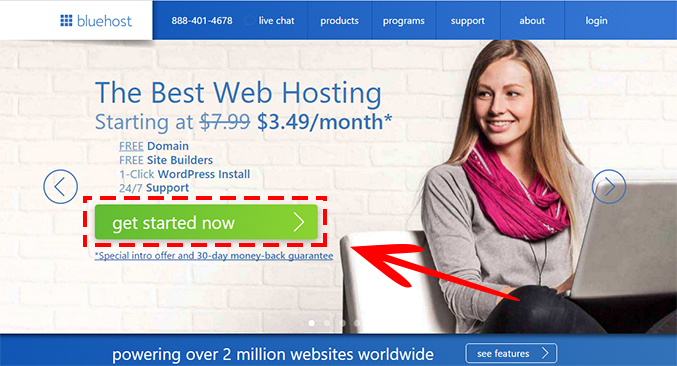 First thing you need to do is to go to Bluehost.com and click “Get started now”. The basic plan is the one I recommend for new online stores. Click “Select” to choose your plan. 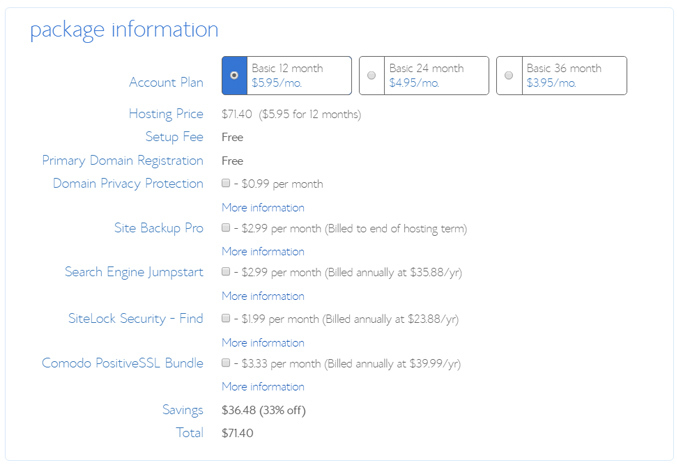 Since I’m using Bluehost by myself too, I’ve negotiated big discount for people who use this guide. 3. Pick a Domain name for your online store and click “Next” to see if the domain name is available. Don’t beat yourself when thinking of a domain. Internet is around 30 years old so most of one or two words domains are already taken. Just make sure it is catchy and is related to your store name. For example, if you plan to name your store Dave’s Socks Shop then davessockshop.com works. I’d suggest you to use something that ends with .com, .net or .org. * If you already own a domain name and want to use it for your online store, type your existing domain in the right box and then click “next”. 4. If the domain is unavailable you will be given a list of similar domain names that are available. You can choose one of the suggested domains by clicking on it or type in another name to try. 6. You will also have to choose your hosting package and options. The 36 month package gets you the lowest monthly rate, while the 12 month package has a lower up-front cost. Either is a good choice. I unchecked the boxes next to the other products when I’ve sign-up. You can always add these later if you need them. 7. After choosing the hosting package and options, you will be then taken to the checkout page. All you have to do now is to pay your hosting and domain name. Don’t forget also to read and agree with Bluehost’s Terms of Service by clicking the square check box before clicking on “Submit” button. 8.Now that you have your hosting and domain set up, all you have to do now is to install WordPress. 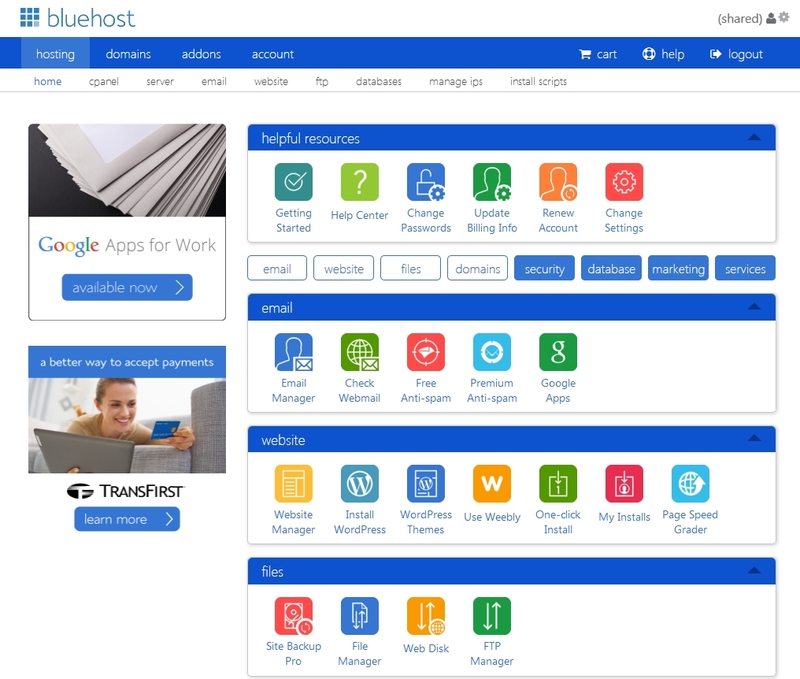 Log in into your account by going to BlueHost home page and clicking the login button on the top of the page. Enter your domain and password. 9. 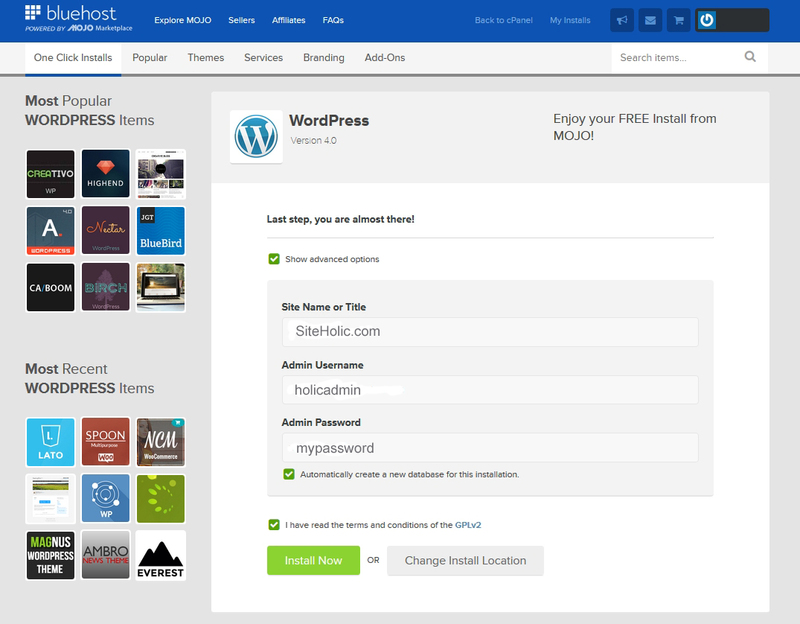 After logging in your account you can install WordPress by clicking on “Install WordPress” button. 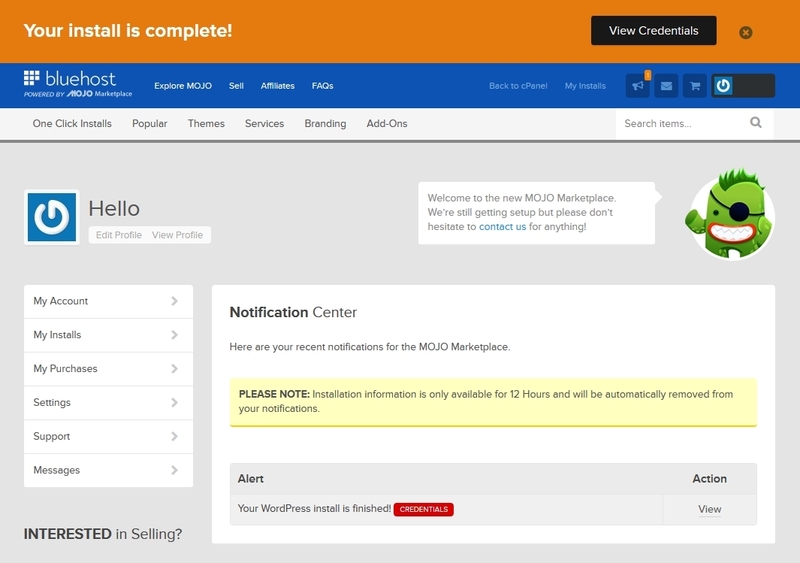 You will now be automatically logged-in to Mojo Marketplace and taken to the WordPress install page. Click on the “Install” button to get started. Select your domain and click “Check Domain”. Check the “Show advanced options” box. Now you can enter in your site title, username, and password then click “Install Now”. WordPress is now installing! This should just take a few minutes. Congratulations you’ve made your first web site. You will receive login information on your email as soon as installation finish. In the next step I will show you the basic settings of your online store, and how actually to turn WordPress web site into ready to sell online online store. As soon as you are done installing WordPress, you can now access your new store using the login credentials you selected. Inputting your username and password takes you to the WordPress backend, which can be accessed on yourwebsite.com/wp-admin. I guess you are just starting using WordPress, so here are some terms you might want to get acquainted to and a little explanation of what they are. •	Dashboard – The term referring to the WordPress backend. This is the portal where you can control your website’s frontend. •	Posts – By default, this is the part where you can create new posts for your website. Depending on the kind of e-commerce plugin you use, this can be left untouched. •	Pages – This part is where you create and manage pages on your website. •	Media – This is where you upload all the images you need for your website. •	Appearance – From here you can change your store look, making design adjustments or change logo. •	Plugins – WordPress is much better with plugins and this is where you install and manage all the plugins you own. •	Comments – From here you can manage comments on your post or products. •	Tools – From Tools you can export products or content. •	Settings – This is where you can change certain parameters for your website. One thing I mentioned about WordPress is that it can be customized to such a degree that you can create a truly unique website from scratch. But doing that might need some high-level understanding of WordPress so let’s just start with the easy steps. In WordPress, there are what we call “themes” or “templates” if you want. These themes give your website a “made-for-you” design that you can adapt but you can still edit minor details. The theme is the face of the website. This is what your customers will see when they get in your web store.There are both free and paid themes out there. For starters, just play around with a free themes first. If you have time, learn how to customize them. Learning the basics of WordPress Theme Customization will just take you a couple of hours to master. You can change your theme from admin area Appearance -> Themes. You can add new themes by clicking the button “Add New”. Now that you have the “face” of your website customized, you can now go and make sure you have the accessories prepared. When I say accessories, I mean the plugins in WordPress. While themes mainly affect how your website looks, plugins on the other hand affects how your website works. One look at plugins central and you will see that there are hundreds of thousands of plugins for various situations. There are plugins for lead generation, for visitor counting, page optimization, and a whole lot of purposes. Installing a plugin is as easy as pressing an install button. Some customization might be required but most of them are pretty easy to use. You can install new plugins from your WordPress admin menu and then button “Plugins”. 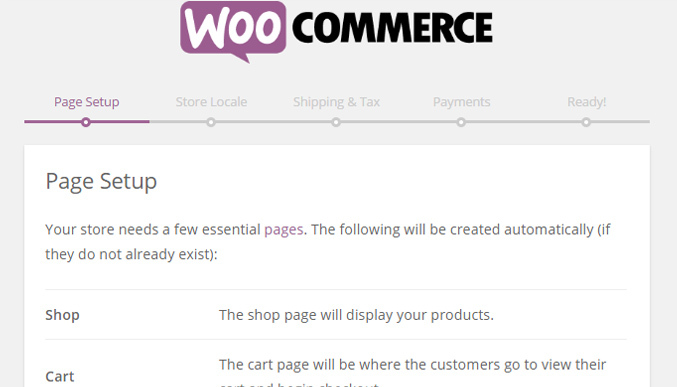 One very good plugin is called WooCommerce. WooCommerce is an all-in-one plugin that transforms your regular WordPress website into a fully working e-commerce site. No more spending thousands of dollars for a complete e-commerce site. Just WooCommerce, a little bit of tweaking, some tinkering and you have your very own e-commerce site ready. I have mentioned above how WooCommerce makes everything easier for you in making an e-commerce website. Well, let’s try to talk more about WooCommerce. WooCommerce is a free eCommerce plugin on WordPress that allows you to sell anything on your WordPress site. It was created to work with the WordPress platform and is considered the world’s favorite E-Commerce solution with over 1 million installs worldwide. It is highly customizable and gives the online store owner total control of the website. 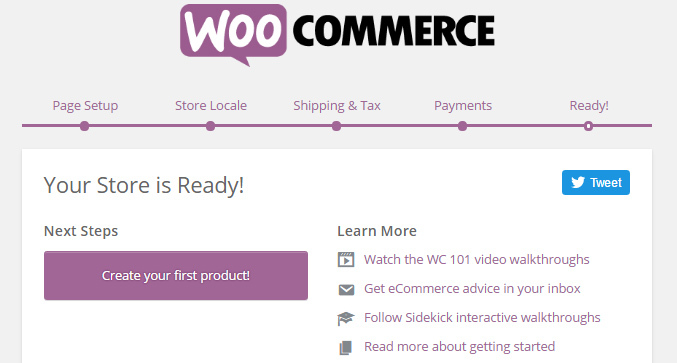 Now that we know what WooCommerce is, let’s try to learn how to install it. I already mentioned above that most if not all of the WordPress plugins are very easy to install. WooCommerce is no different. Just login to your admin account and look for “Plugins” on your dashboard then click on “Add New”. On the plugins page, just search for WooCommerce and hit enter. You will then see the WooCommerce plugin as the first result. Just click on install and wait for the magic to happen. After installing, WordpPress will give you the option to activate the plugin or not. Activating the plugin will take you to the WooCommerce onboarding wizard. It’s a step-by-step guide on setting up your e-commerce store. It is rather short and will not take you more than 5 minutes to finish. Activate the plugin and you will be taken to the Woocommerce quck setup wizard. Click on “Let’s Go!” to do the basic settings. First thing you will see on the wizard is the Page Setup. This step checks if you want to add more pages to the default pages to be set up by WooCommerce like Checkout page, Cart page etc. It will be easier to add those pages, because anyway you will need them. You can do that by clicking “Continue” or if you decide to skip this step you can easily add new pages later. Next, you will be taken to the store locale screen. This is where you put the location of your business or the center of your operations which will be important for shipping and tax option later. This is also the step where you can choose the currency, unit of weight, and unit for dimension. Third step is the Shipping and Tax page. This is where you can edit out your shipping and tax setup. 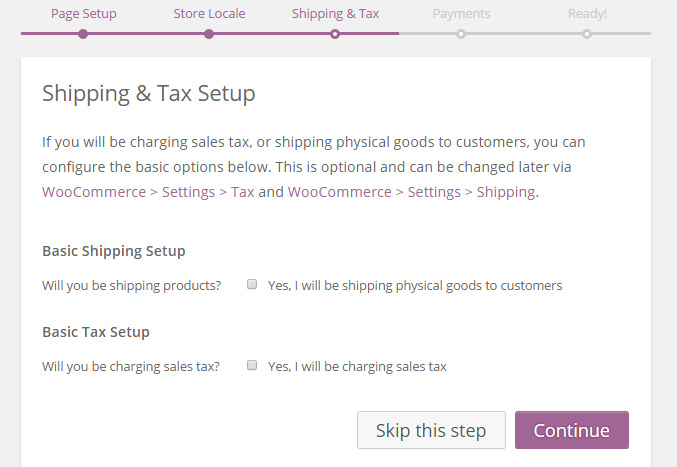 Clicking on the checkbox for shipping and tax will open up new options. For shipping, you will be given field where you can input the flat rate for both domestic and international shipping. For tax, you will be asked whether you will be including or excluding the tax on your product prices. If you are not sure about shipping and taxes you can skip this step. The forth step is the payments screen, where you will be given the option to either use an online payment method (Paypal) or offline (CoD, Cheque, or Bank Transfer). You can select all or just one of the option. 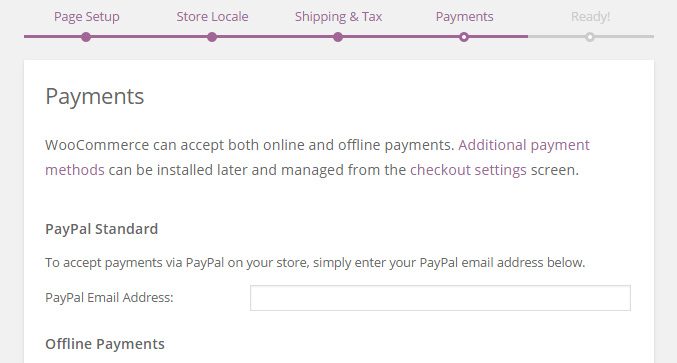 If you have a preferred option that is not available, you can add it later using extensions from WooCommerce. To use Paypal, you just need to enter your Paypal email address on the field. You can change any of those settings later, so if you are not sure about something just skip. Click continue if you are done and you will be taken to the last page. At this point your store is ready to go and you will then just need to add new products. Also, on the final screen, you will be given the option to allow WooCommerce to collect data from your website you can either allow them or cancel. Congratulations your store is ready! On the next step I will show you exactly how to add your first product. First of all, I would just like to congratulate you for reaching this point. Basically, you have the skeleton and skin of your website up. If you have been struggling up to this point, don’t worry. It will only get easier. Now that you have your e-commerce site (or online store as most people call it) set up, you will now get to the meat of the process – adding the products. Don’t worry though. While it may seem a bit daunting at first, adding products is relatively easy. But before we go on dealing with adding products. Let’s learn more about the details that will make them easier to identify in your page. Let’s talk about categories, tags, and attributes. Now, these three things will help you organize your products. Categories and tags work the same way as their regular WordPress counterpart. Just consider categories as the table of context while tags become the index. What you should focus more should be the attribute. Let me tell you what is attribute. It is important to know it before you start adding products, so it will be easier for you later. In a nutshell, attributes are pieces of data that add technical information to a product and will help your customers search/browse your items. An attribute is usually set the same way as the category but somewhat deeper. Just consider this example. If you are setting up a clothing store, you will be selling different kinds of clothes. While you can put size and color as a category, it will be much better to put them as attributes. See, attributes allow further filtering of choices in your store. For example, under the category of Cocktail Dresses you can put an attribute for color. That way, your customers can search a cocktail dress with a specific color. Now that we have discussed the importance of the category, tag, and attribute, let us now move on to the different kinds of product in WooCommerce. Note that choosing the right product attributes will not only make the adding of products easier but it will make the overall experience of your customers much better. Simple product – A simple product is something that is sold, can be shipped, and has no options. For example, a book you sell on your page can be considered a simple product. All the customer has to do is to click add to cart and check out. Simple products have one price and one SKU. Grouped product – A grouped product is a collection of similar products that can be bought individually and consists of simple products. If you are selling shirts, pants, and shoes, then you might want to put them under the Parent Grouped Product called “outfit”. External or Affiliate product – An external product is something you display on your site but is sold elsewhere. One example would be an exclusive eBook that you might be displaying on your site but can only be bought at the author’s website. Instead of the customer paying on your site to get the product, they will be taken to the 3rd party website instead. Variable products – Variable products are the opposite of the simple products. Variable products are those that have variations. For example a book with different covers or a shirt with multiple color options. Variable products may have different SKU, prices, and stock options with each of its variations. This is where you will put attributes to good use. Now, after getting to know the products, let us try and move forward by learning how to add them. 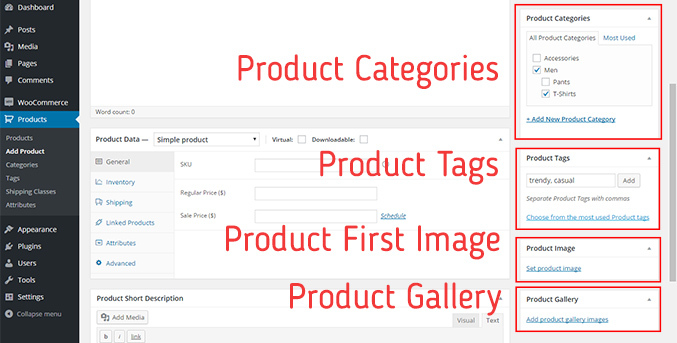 To add products, you need to go to the dashboard of your WordPress site and look for Add Product on the Products menu. You will be brought to a different page that you will easily get familiar with. Now, the first thing you will see on that page is the field where you will put the name of your product. Down below, on the content editor field, is where you put a little description about your product. A paragraph is usually enough to give your customers an idea of what you are selling. What you put on this content editor will show up right below the product name on a standard product page. Now that you have the content filled out, you will now go and check out the Product Data meta box. This meta box has 6 different sub menus that you need to check out. First, you need to select on a drop-down menu what kind of product you will be adding may it be simple, affiliate, grouped, or variable. Also, you will be asked whether it is a physical product or a virtual product. Virtual products usually don’t get shipped so the shipping tab will be untouched if you are selling a virtual product. Next is the general tab. On the general tab, this is where you place the price of the product and its sale price whenever applicable. There’s also a link wherein you can schedule when your page will display the sale price. Up next is the tax status and the tax class. If the item is taxable, you will have options to select whatever tax class you have specified during the original setup. The next tab on the menu is the Inventory tab. Here, you can manage your stock and set stock status. This is also the part where you can allow the product to be bought multiple times in a single order. Right after the inventory tab is the shipping tab. If you allow shipping, this is where you put the dimensions of your product. Make sure that you have the dimensions correctly as it will affect the price to be displayed on the checkout screen. After inputting the dimensions, you will then select the shipping class. Down on the list is linked products. Basically, this is where you can set an up-sell or cross-sell for the product you are adding. Selling a nice looking shirt? How about cross-sell a loafer? Aside from up-sell and cross-sell, this is also where you can group products under a parent group. If you are selling grouped products, then group them all here. Up next is the attributes tab. If you are selling a simple product then you can just skip this tab. However, if you are selling a variable product, this is where you put the different attributes of the product that differentiates it from its variations. For example, if you are selling a shirt this is where you put the attributes for color, size, or design. Last on the list is the Advanced tab. Here, you can put the purchase note which will appear after somebody purchases the product. You can put a simple Thank you here or maybe instructions on how they can claim their product. You can also enable or disable reviews on this tab. Before you finally add your product, make sure you check the right hand side part of the page. This is where you place the product under a category and add the tags. Also, don’t forget to upload the images for the product and to add more for the gallery. If everything is set, just click add product and you are good to go. I hope you had fun with this guide, I made. While starting an online store might be scary, you should remember that with the enough knowledge and the proper tools, you can easily make sense of everything. Take time to learn about the basics of WordPress and then move on to WooCommerce. If you hit a snag, a simple Google search can give you a ton of information. If you are still having problems, feel free to send me to contact me through my the contact page.